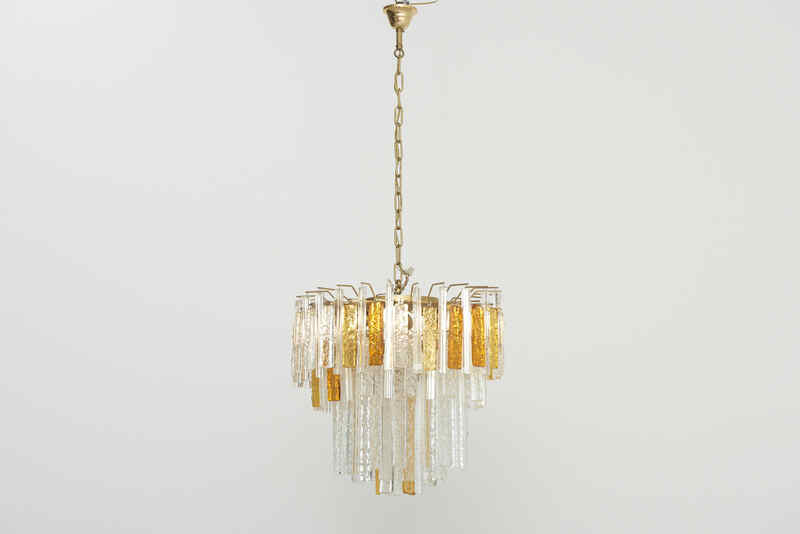 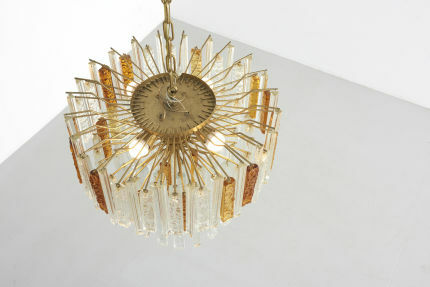 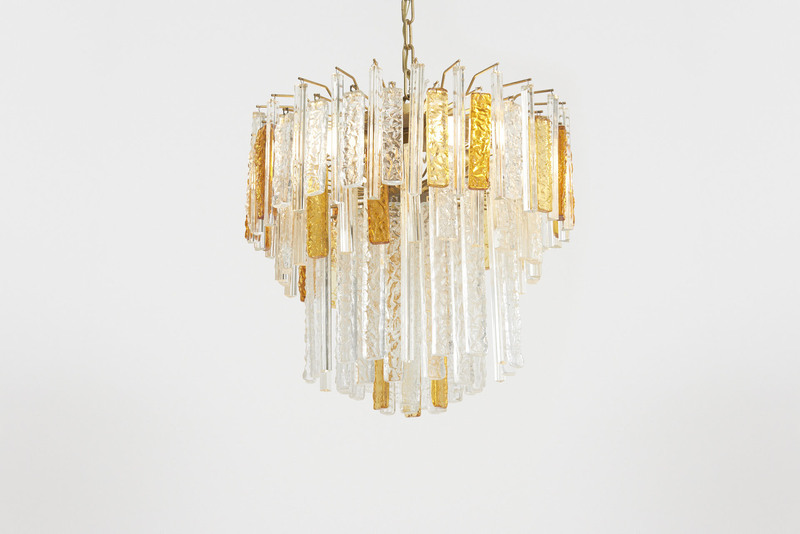 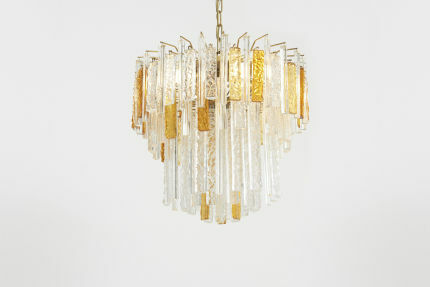 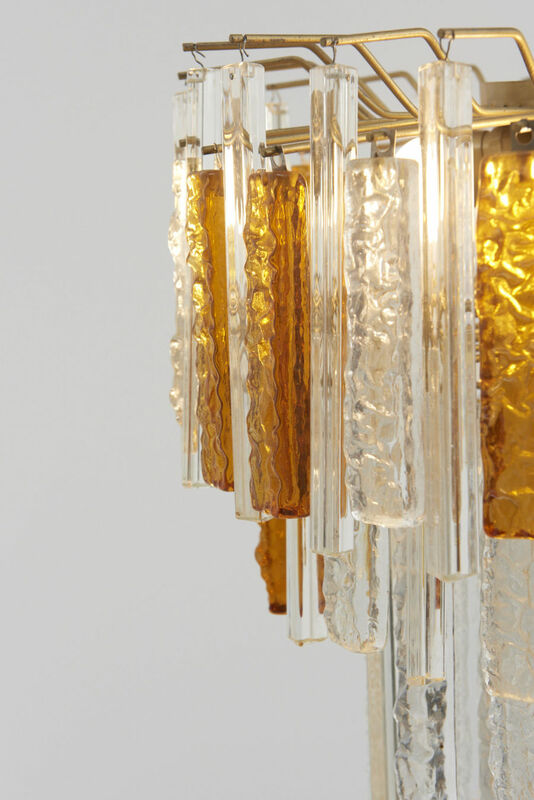 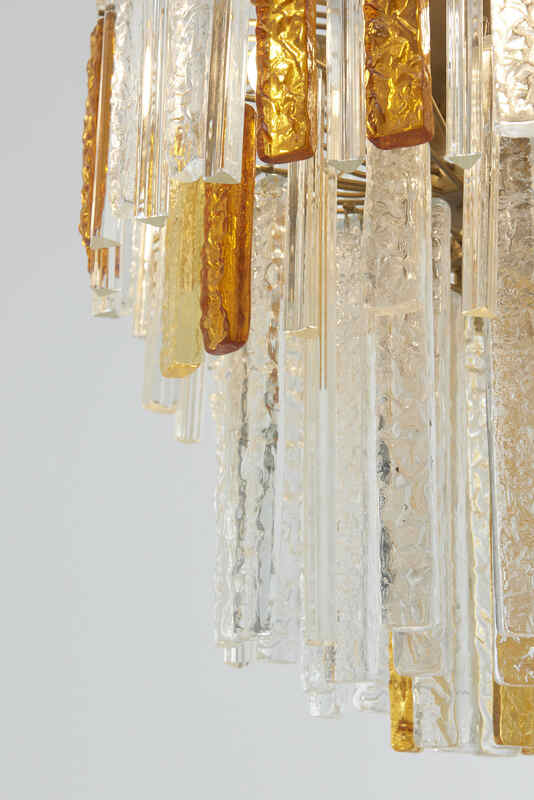 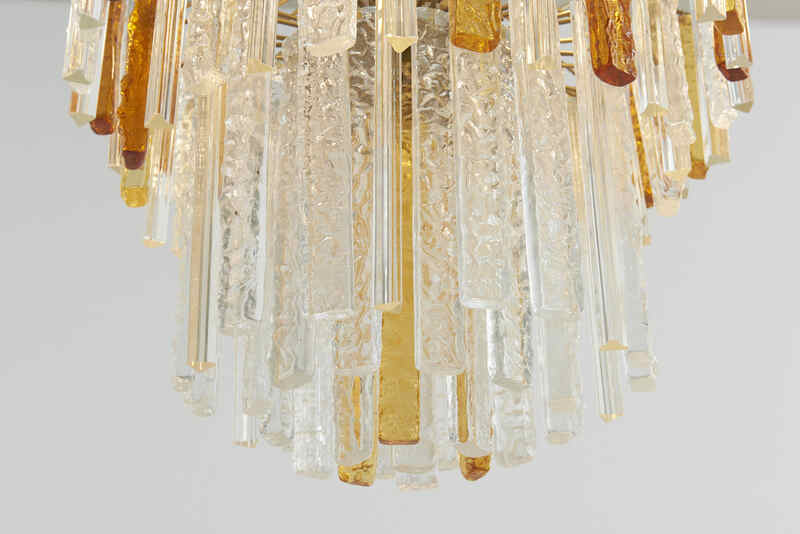 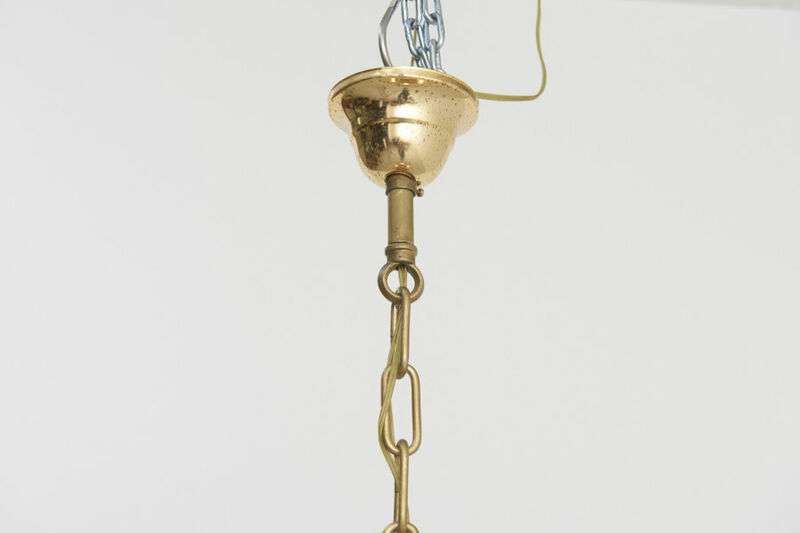 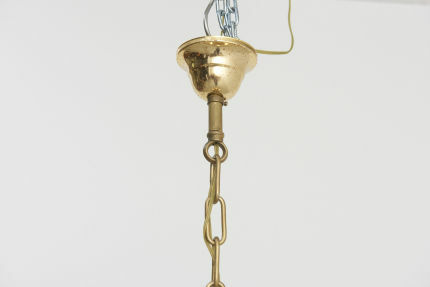 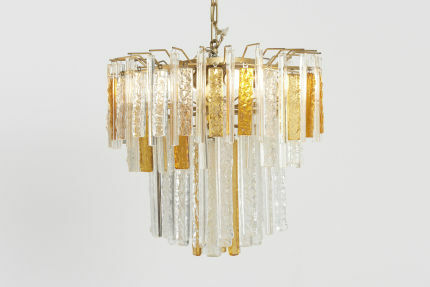 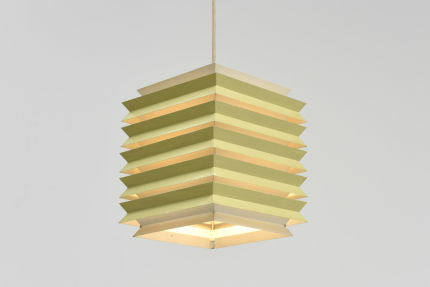 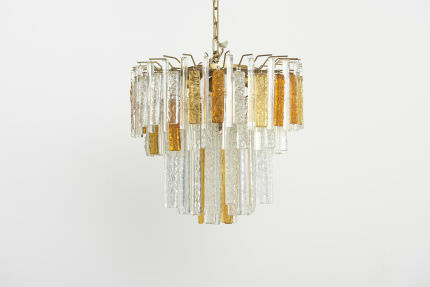 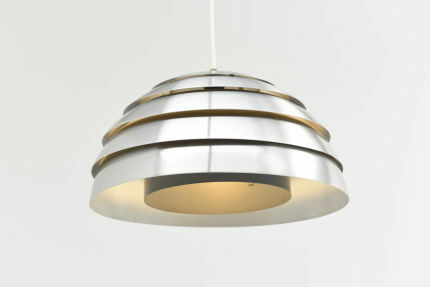 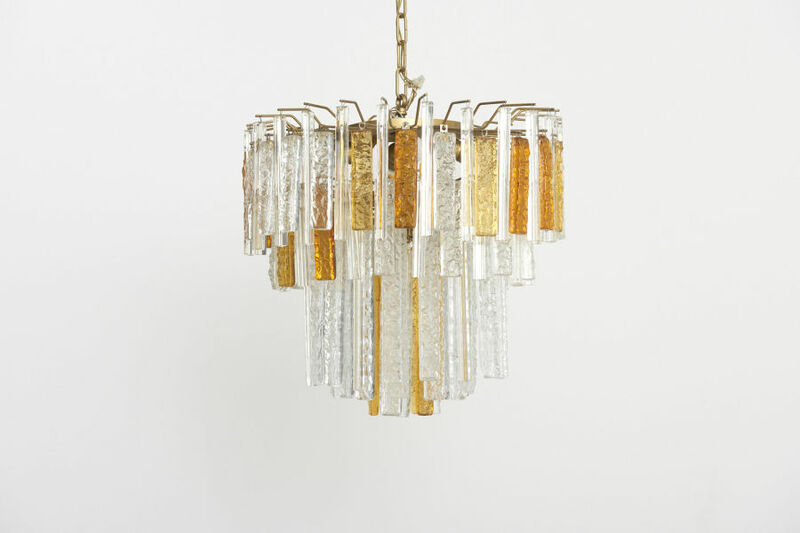 Italian chandelier from the 1960s, designed by Toni Zuccheri and made by Venini. 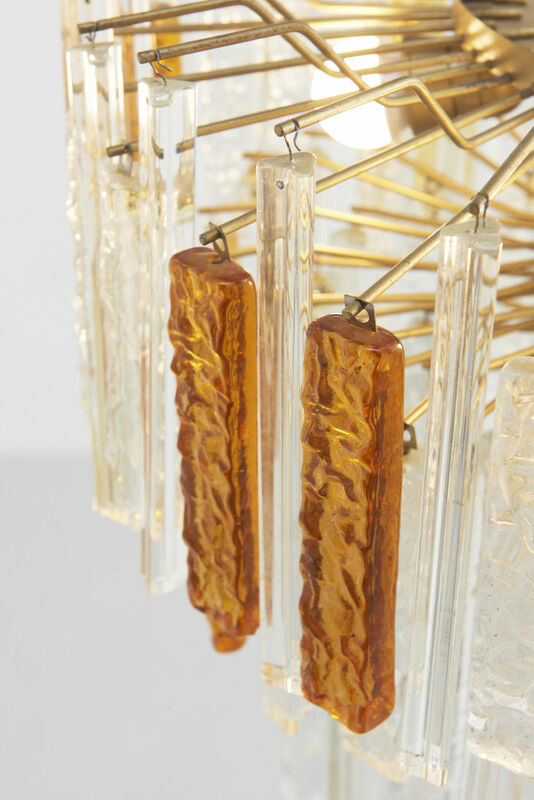 Handmade Murano glass pieces with different lengths, cross section, texture and color alternate one another. 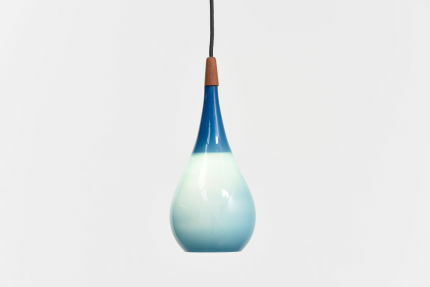 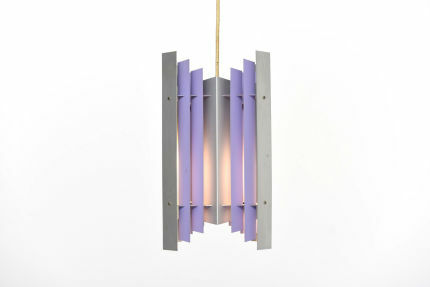 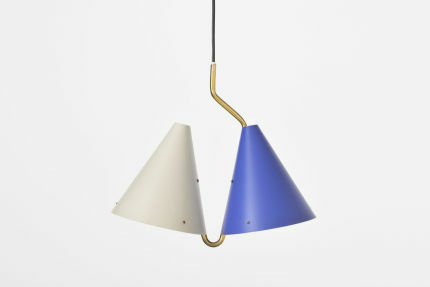 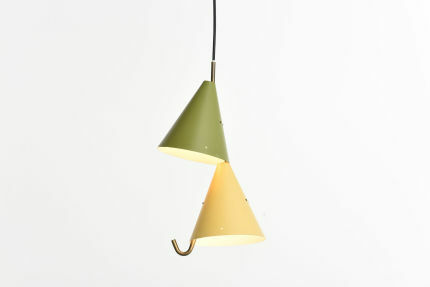 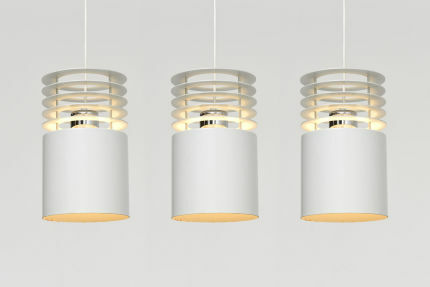 The brass structure with four lamps bears the glass pieces and creates a diffuse warm light.